Amiigo – Fitness Bracelet: an activity trainer for iPhone and iPad. It tracks reps, exercises, sets, calories, and more. 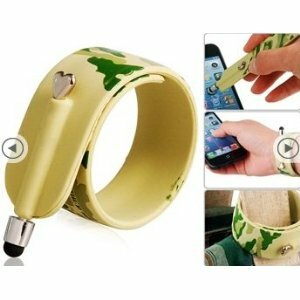 Bracelet Stylus Pen for iPhone: an affordable stylus for your iPhone or tablet. You can wear it around your wrist. Bluetooth Bracelet for iPhone: this is a decent looking bracelet with an OLED screen and supports music playback. You can catch calls with this bracelet too. EMBRACE+: a smart notification bracelet for your iDevice. The project was listed on Kickstarter just a couple of months ago. It provides you with notifications for incoming calls, texts, and other activities. Phubby: allows you to wear your iPhone around your wrist. 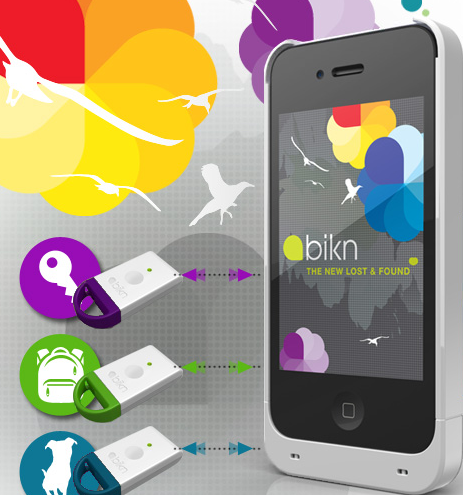 This could come handy if you want to carry your phone while engaging in outdoor activities. You can still use your phone when it is inside. 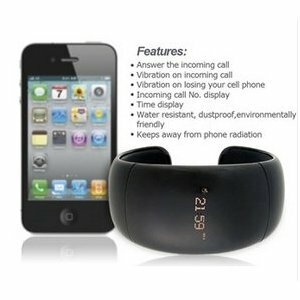 The above iPhone accessories can be worn around your wrist and are easy to carry around. They may not be for everyone but come handy in certain situations.